Family law problems such as divorce, child custody and parenting time disputes can cause disruption well beyond your home life. You may be affected at work, lose your financial security, or worry about the well-being of your children. When you’re worried about these things it’s hard to focus on much else. That’s why you need an experienced family law attorney that can provide you with the counseling and advocacy you need. At Blumberg & Associates we believe family law is all about protecting our clients’ rights and best interests throughout all phases of a case – before, during and after. Whether you are facing divorce or need an experienced custody attorney, we can provide the service and level of representation you need to achieve the desired results in your case. We provide flexible and lasting legal solutions for you and your family that are tailored to your unique needs and focused on delivering results. When sensitive and highly-charged issues of divorce, child custody and parenting time are at stake, we bring the highest caliber of advocacy and representation to see your case through to your desired end, so you can put it behind you and move forward with your life with a newfound freedom and peace of mind. 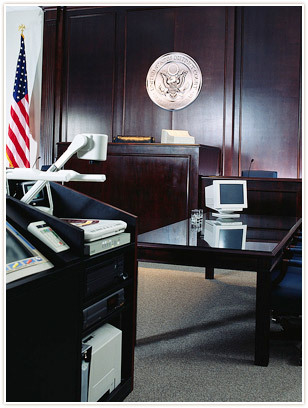 Based in Phoenix, our attorneys have extensive experience in the superior courts across Arizona. Divorce: We are experienced in divorce cases involving children, property and debt division, and spousal maintenance. We take every step to protect your rights and interests. Paternity: We represent clients in paternity actions, including those related to custody or support orders. Whether you are pregnant or want to establish the paternity of a child, or are the father and want to establish paternity, we can protect your rights. Children: Our firm handles issues related to children, including, child support, child custody, parenting time, and the termination of rights. Let us protect your rights and the best interests of your children. Modifications and enforcements: After a divorce or a family legal order is finalized, you may need legal support for a modification or enforcement. Our attorneys are experienced in protecting clients as they seek to obtain modification or challenge the enforcement of an order. Domestic violence: We are experienced in handling orders of protection cases and can help clients obtain a temporary order of protection or challenge an allegation of domestic violence. We also have extensive experience in cases related to divorce or marriage dissolution. Call us at 602-716-0800 for an experienced Phoenix, Arizona, family lawyer (evening and weekend hours by appointment).